Maher says Gaby is still improving. Co-head trainer Ciaron Maher is backing Loving Gaby to improve again when she takes her place in the ATC Sires Produce Stakes on Saturday. The Phoenix Thoroughbreds owned filly will be taking on her third Group One assignment in four starts and having run solid races in both the Blue Diamond and Golden Slipper Maher is expecting another good effort. 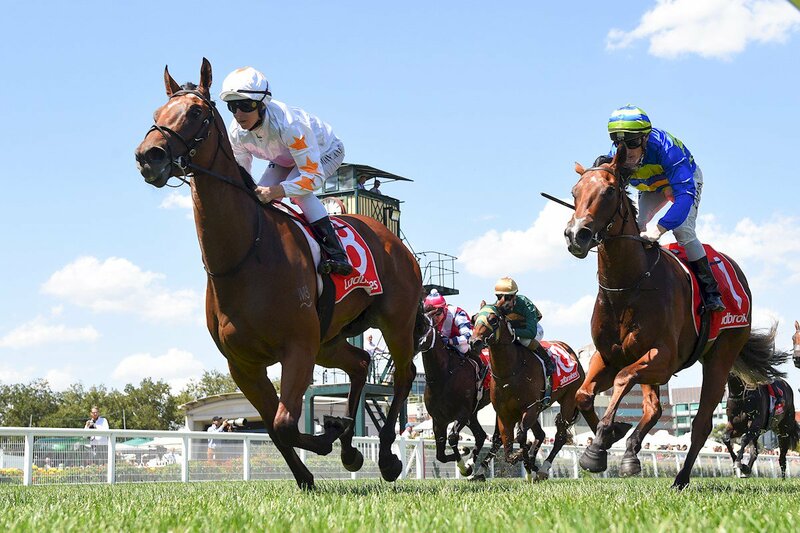 A winner of the Group Three Chairman’s Stakes on her debut the daughter of I Am Invincible was then luckless in her run to finish sixth in the Blue Diamond Stakes. She followed that effort with a closing fourth in the world’s most valuable two-year-old race while overcoming a poor draw in the process. Saturday’s race at Royal Randwick will be a slight move into the unknown for the filly as she steps up in trip for the first time, but her trainer feels that won’t be an issue. Generally considered one of the most exciting juvenile fillies in Australia Loving Gaby is yet to run outside Group class company and Maher can’t hide his pleasure at the way she is progressing. Loving Gaby will be sent off among the favourites for the ATC Sires Produce Stakes which is due off at 3:15pm (local) on Saturday.